Experts are calling 2018 "year of the chatbots". 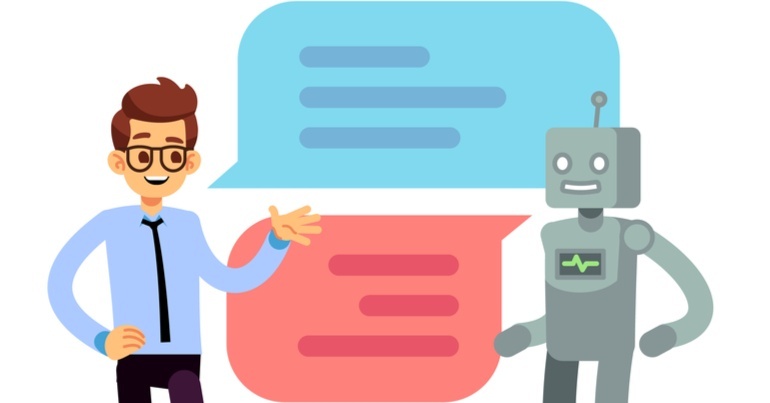 What exactly does a well-executed conversational marketing robot look like, and what does it do? Conversational marketing is seeing a sharp upturn in interest in 2018. Partly because more and more people are catching on as it goes from cutting edge to common knowledge, but it is also a response to Generation Z coming of age. Recent studies now show that half of young Aussies use messaging apps as their main means of communication, and other studies have found that 75% of young people would rather have a text-only phone than a call-only phone. So how can a business engage with a potential customer that does most of their shopping online and doesn’t want to call your company to ask questions or resolve customer service issues? Conversational marketing could be the answer to that conundrum. Check out our guide to conversational marketing if you want to read more about the topic. Otherwise, let’s just jump right in and see some great examples of conversational marketing. Former Domino’s CEO J. Patrick Doyle once said “we are as much a tech company as we are a pizza company”, and the company has been on the bleeding edge of technology for a long time. Their investments in conversational marketing have pushed them past Pizza Hut, making Domino’s the most popular pizza company in the world. Their AnyWare platform is an incredible example of their commitment to tech. It’s well and truly beyond most other forward-facing companies. You can order pizzas and receive tracking information through Facebook Messenger, text messages, Google Home and Amazon Alexa, and that’s cool, but nothing unique. But where else can you order a pizza by tweeting? Want to order a pizza through your smart TV? Sure. Through your smart watch? You bet. You could even order a Domino’s pizza through your car. The future truly is now. 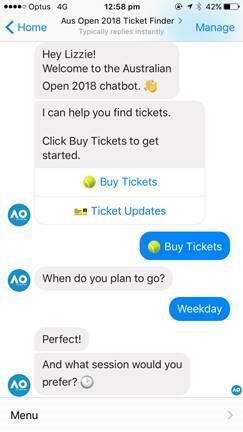 Around 150 of the spectators at the 2018 Australian Open were in their seats because they had bought tickets through the tournament’s own chatbot. The tool was developed in partnership with Zenith Melbourne, and was part of a paid advertising campaign on Facebook where the goal was to target fans who would usually purchase tickets closer to the start date of the tournament. A great example of a more traditional entity opening up and embracing new and powerful technology, and Tennis Australia was rewarded for their efforts. The chatbot delivered 170% more conversions than just linking users to a ticketing website, and provided a 25x return on investment. Launched in January 2018, Ceba is Commbank’s digital banking assistant. Capable of helping customers with upwards of 200 tasks and being able to understand some 60,000 ways a human can ask for assistance, Ceba is a prime example of conversational marketing done right. Ceba is, of course, available 24/7 to the millions of Netbank and Commbank app users, and is ready to help you with your problem when you want to seek help for it. Beyond doing basic tasks like making payments and getting your statements, Ceba can also realise when you need to talk to a human customer service representative and connect you to them. Smart. RoboChat is Australia’s first virtual assistant to help potential home buyers and refinancers complete their online home loan applications. The chatbot is built with IBM’s super smart AI Watson, and will continue to learn as customers engage with it, becoming smarter and better over time. Cold, robotic name aside, RoboChat is another great example of chatbots and artificial intelligence in the financial sector. Built to help answer customers’ questions and reduce the time it takes customers to complete online forms, this chatbot can answer thousands of questions in a natural and human-like fashion. Meal-kit delivery companies have become incredibly popular in the last few years, and HelloFresh is one of the biggest players in the game. Founded in 2011, it now operates on three different continents. 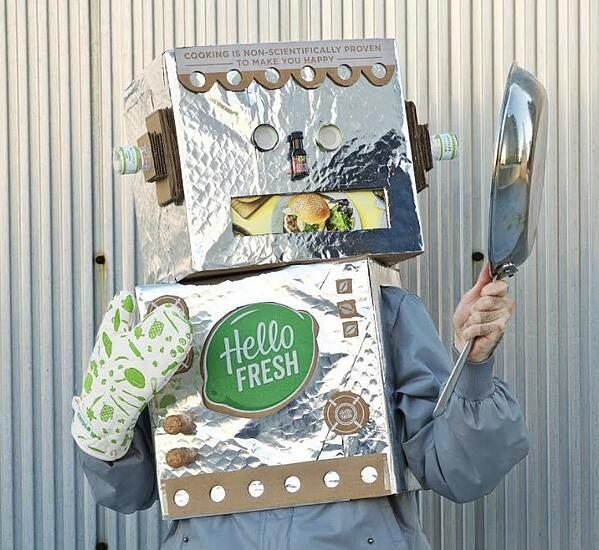 It’s no surprise that a forward-facing commerce company would be interested in conversational marketing, and HelloFresh launched Freddy Freshbot in November 2017. Freddy gives customers and others an easy way to explore HelloFresh’ offerings through Facebook Messenger, and it couldn’t be easier. The chatbot gives you clickable buttons with topics and questions for you to dive into, gives you menus and recipes, and can set reminders too. As you can see below, Freddy is also a strapping, young lad.